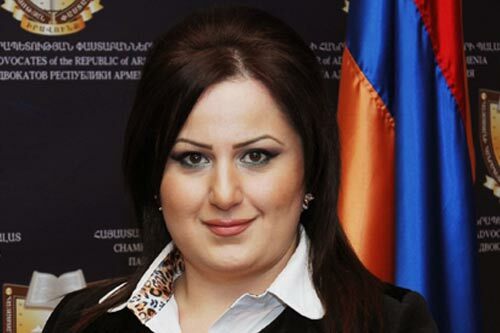 As a society Armenians are known to adore children and thus very few cases of violence against children are officially registered in the country, said Marine Farmanyan, a lawyer at the Chamber of Advocates of the Republic of Armenia, adding, however, that there are gaps in court procedural norms. June 1 was set as Children’s Day during a world conference for protection of children held in Geneva in 1925. “Family issues are very delicate, thus, while speaking on gaps in the law and its practical application, one should not put on sharp accents and put forward demands, because irrespective of the number of legislative amendments, moral relationship has a big role in the matter,” Farmanyan told media on Wednesday. According to her, family-related legislation and legal regulations concerning the protection of children’s rights are sufficient, although they encounter problems in practical application. “For example, gaps in civil proceedings have direct impact on family relationships. Court procedural rules are not clear, which is why we have a problem with final outcome of the substantive law,” she said. She singled out problems linked with alimony, claims related to child care, visits, and upbringing, and said that the courts are overloaded and a child’s livelihood and living standard are questioned here. “However, we have a different mentality, so we idolize our kids, therefore cases of domestic violence are fortunately not many [in Armenia],” she concluded.